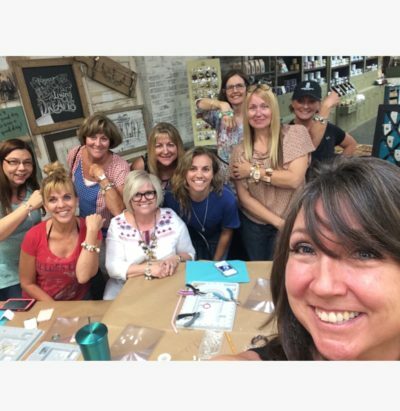 Gather your friends and let’s have a jewelry workshop. 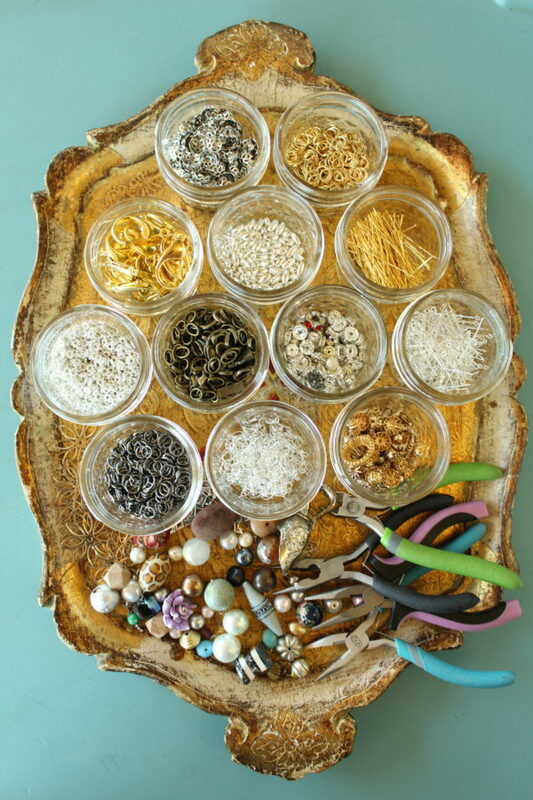 Email me at leah@rubymaejewelry.com with your questions. I provide all of the tools & supplies. 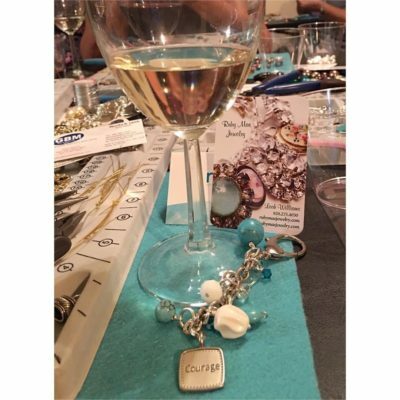 You & your guests will learn techniques and will make 1-3 pieces of jewelry for yourself. It’s a terrific way to spend two hours. 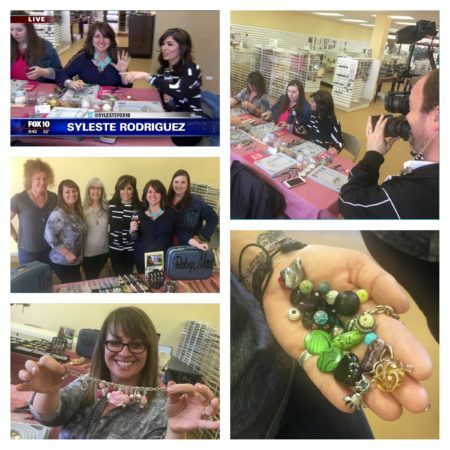 You too can host a Ruby Mae Jewelry Workshop. 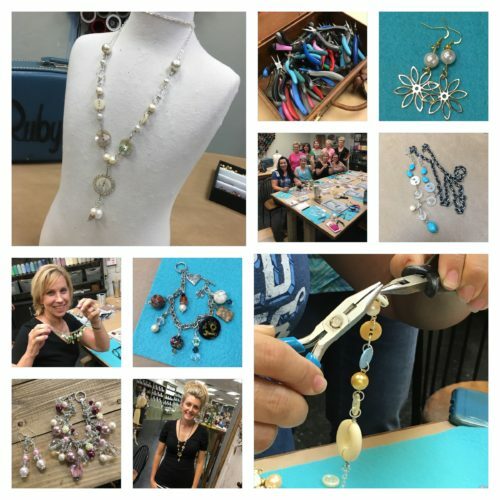 I will teach you how to use jewelry tools and you’ll learn techniques on how to make your own pieces. You get to pick what you create. I bring all of the tools & supplies and starter pieces to get you going. 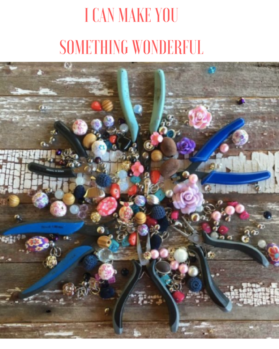 You can make earrings, bracelets, necklaces or lanyards. 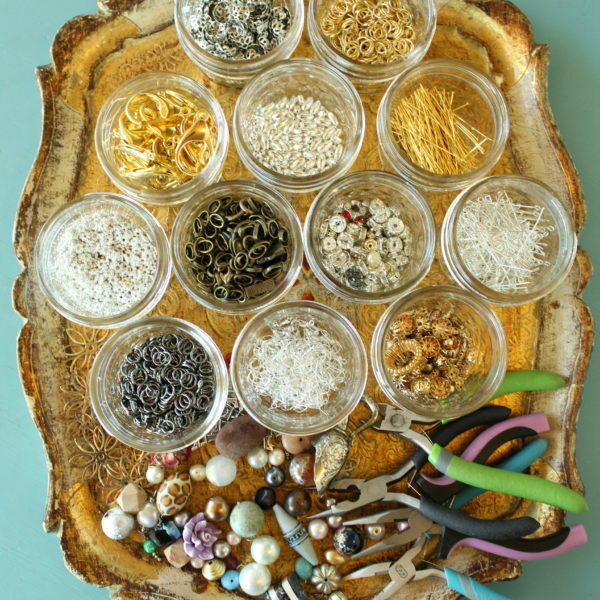 You’re welcome to bring treasures fom home to incorporate into your piece. Beginners are absolutely welcome. 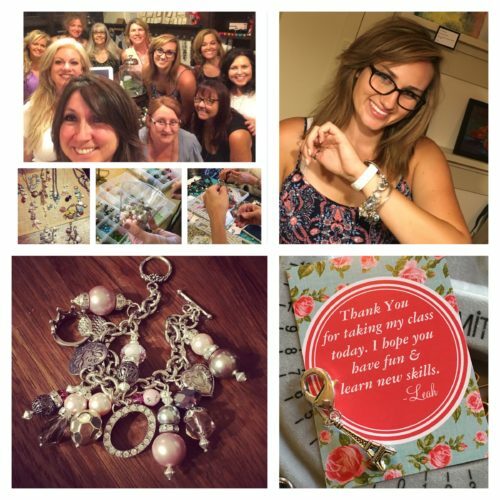 In fact, most of the gals in these photos have never made jewelry. Check out these happy ladies from classes past. A little about me. 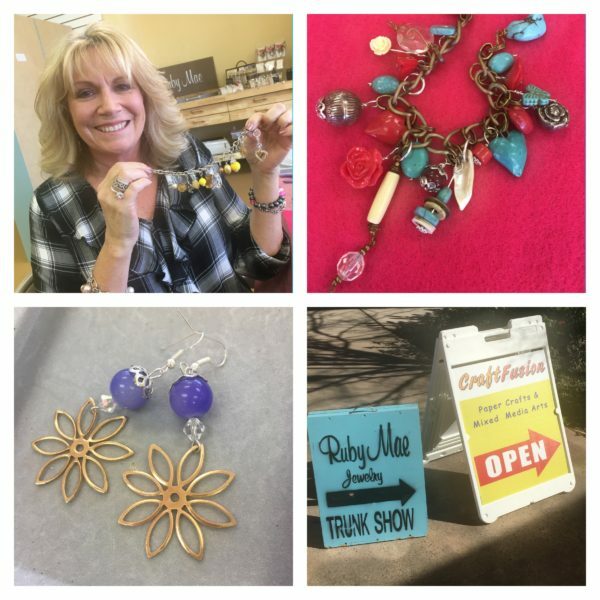 I’ve made jewelry for 20 years and I started Ruby Mae Jewelry in 2011 after I fell in love with vintage buttons. In 2013 Go Daddy put my small business in their commercials and it’s been wonderful exposure for my small business. I believe we can connect generations thru buttons passed down by family members and that they can make our current pieces even more special. 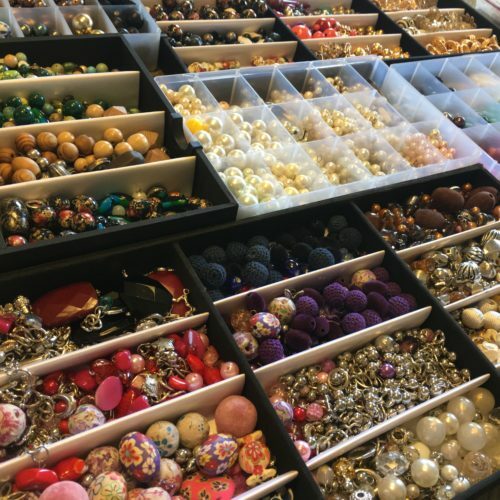 If you have vintage buttons, I’d love to take a peek at them. I will show you how to use them without harming them. I am a no harm button artist. The cost is $45 a person with a minimum of 6 people and a maximum of 10. If you have a larger group we could do two different sessions. If you only have 4 people the cost s $65 a person.